I was happy to attend Theorizing the Web at The Museum of the Moving Image in Astoria, Queens. I presented a short paper ‘More is Not Less – Self Denial on the Internet ‘ on the Fiction, Fantasy and Faith panel. The paper works towards understanding how self denial works in relation to networked interactions. 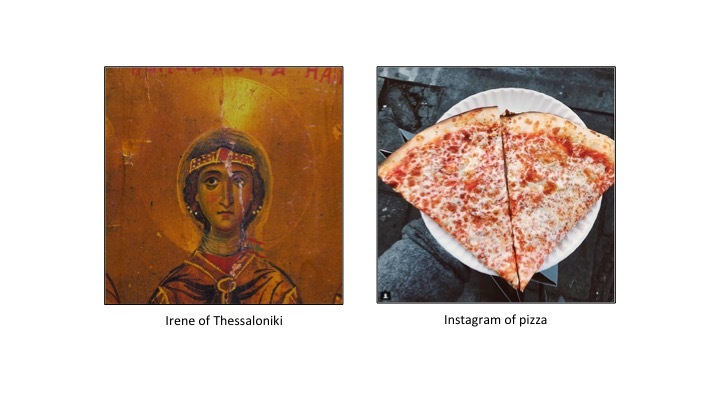 It began as an opportunity to examine the phenomena of quitting facebook, but, as seems to happen regularly in the course of my research, quickly spiraled out of control and ended up looking at the role of self denial in the west from late antiquity to Neoliberalism, instagrams of pizzas and martyred saints. Obviously there are some pretty broad strokes used, and the conclusions were not the ones I expected to draw, but I enjoyed the writing and delivery process again. I cut lots out, as it was too long – but I am in the process of putting it all back in – will post a link.